There’s a disturbing murmur amid the vigorous discussion of two crashes of Boeing 737 Max jets during the last five months: Maybe some pilots of foreign airlines aren’t as qualified to fly complicated jets as their U.S. counterparts. The three U.S. airlines that fly the Max—Southwest, American and United—say they’ve encountered no anomalies that would make them worry about the safety of the troubled jet. But they also instituted new training following the first crash, involving a LionAir jet that went down in Indonesia on Oct. 29, 2018. Southwest went as far as installing new cockpit indicators to help pilots know if software on the complex plane is generating flight inputs that could endanger the aircraft. Investigators have not formally determined what caused either crash, but aviation authorities imposed a cascading series of flight bans throughout the week, with President Trump finally grounding the jet over U.S. skies on March 13. Boeing must now come up with a fix that satisfies safety regulators, which could take months. Since the jet is fairly new, it’s not in widespread use, yet. But Boeing has orders for nearly 5,000 Max jets, making it the company’s fastest-selling airplane ever. Investigators are focusing on a new feature of the 737 Max meant to correct the plane’s flight trajectory if the nose is pointing higher than it should be. The Max includes a fuselage similar to prior 737 models, but has larger, more powerful engines mounted higher on the wing, and further forward. That changes the Max’s flight dynamics and can push the nose higher than it would on other 737s. To compensate for that, Boeing developed an automated system that can detect when an ascent is steep enough that it might cause a stall, or loss of lift. In that scenario, the anti-stall system will maneuver control surfaces to push the nose of the plane down, toward more level flight. But if sensors generate errant data, the system could activate when it shouldn’t, forcing the nose down when the plane is within safe flight parameters. In both the LionAir crash last October and the recent Ethiopian Airlines crash on March 10, pilots seem to have struggled to keep the nose up against forces pushing the nose down. Complicating the matter: Boeing didn’t include information on the stall-prevention system in original documentation for pilots flying the Max, or in training sessions. In fact, one selling point for the Max was its similarity to other 737s, and the need for relatively little pilot retraining. After the LionAir crash, U.S. pilots flying the jet were surprised to learn about the new automated anti-stall system, with some angry that Boeing wouldn’t disclose such an important new feature. The airlines made adjustments and informed pilots of the new system. Boeing said it planned a software fix to alleviate any possible problems with the anti-stall system, but hasn’t rolled it out yet. Since preliminary information on the LionAir crash raised questions about the anti-stall system, foreign pilots should have been aware of it as well. But it’s not clear all foreign airlines would be as diligent about instituting changes as US carriers. And foreign pilots might have been less aggressive about bugging Boeing for information. In developing countries such as Indonesia and Ethiopia, training requirements for pilots are often less stringent than they are in the United States and other advanced nations. The co-pilot in the Ethiopian Airlines crash, for instance, had just 200 hours of flying experience. “How do you get into the right seat of an airliner with 200 hours?” a pilot asked on one aviation forum. US pilots need far more experience to fly commercial jets. The pilot in the Ethiopian Airlines crash had much more experience, as did both pilots in the LionAir crash. But that still leaves crucial questions about training discrepancies among airlines, and the training Boeing anticipates among pilots when it rolls out a complex jet like the Max. Absent conclusive explanations for the two crashes, some aviators think training shortfalls could be a contributing or causal factor in one or both crashes. That’s because pilots who are aware of the Max’s anti-stall system can easily disengage it if there’s a problem. Pilots who don’t know about the system, however, wouldn’t necessarily know what to do if the jet seemed to be trying to crash itself. 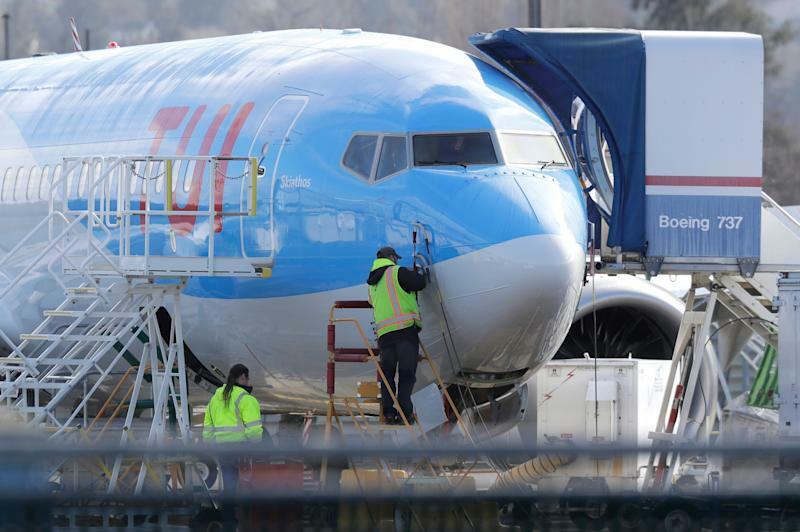 Boeing CEO Dennis Muilenburg insists the Max is “safe,” which is a fishy thing to say about a new jet with two unexplained crashes in a short period of time. 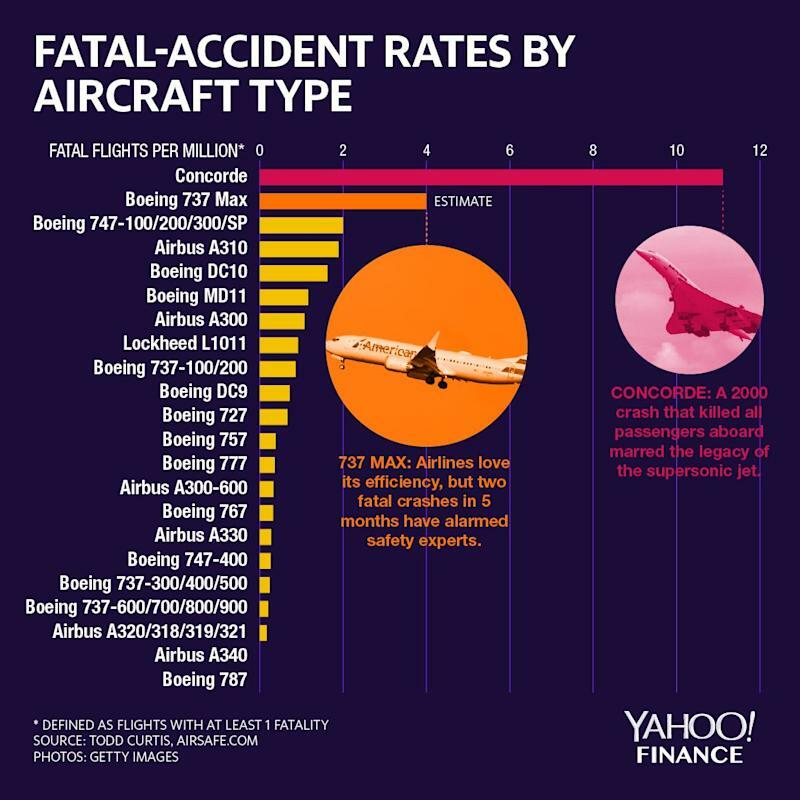 Based on available data, the Max is actually the deadliest commercial jet still flying. Since it’s new, it hasn’t flown nearly as many hours as other jets, which skews the safety data. But it’s also true that other jets have flown more hours and never had a fatal accident. Without overtly saying so, Muilenburg is implying that pilot error, or other factors not involving the jet itself, are responsible for the two Max crashes. Otherwise, how could he claim the jet is safe? If he’s actually defining “safe” as having a couple fatal crashes per year, he’s badly out of step with leading airlines and the flying public, which would never tolerate fatalities at that level. As the leader of the world’s most prominent aircraft manufacturer, he must have something else in mind. After the Ethiopian Airlines crash, Boeing said in a statement it’s developing software fixes “designed to make an already safe aircraft even safer.” That’s an absurd statement implying “safe” might involve some crashes, while “safer” involves fewer crashes. There’s also the lingering implication that maybe the crashes aren’t Boeing’s fault in the first place, but improvements will make it harder for clumsy, poorly trained pilots to crash the otherwise exemplary piece of machinery. There’s a nerdy debate about how to define “safe” for an aircraft with limited flying hours, compared with other models. So perhaps we should instead consider whether the 737 Max is viable when you factor in not just safety but political pressure faced by safety regulators, consumer preferences, and airline business models. In that broader context, the 737 Max is not now a viable aircraft. Travelers don’t want to fly on it, and Boeing must now win them back by taking tangible steps to prove the Max won’t fall out of the sky. Airlines love the Max’s fuel efficiency, but that’s irrelevant if passengers are calling up en masse and begging to be switched to other jets. And safety regulators cannot kowtow to almighty Boeing when the flying public is scared and angry. Boeing faced safety issues when it rolled out the 787 Dreamliner a few years ago, and lithium-ion batteries used for an auxiliary power unit turned out to be combustible. The FAA grounded the jet for three months, until Boeing engineered a solution, which seems to have worked. The 787 returned to service and Boeing suffered only minor financial damage. Boeing obviously cannot undo two crashes that claimed 346 lives. But it ought to be able to solve whatever ails the 737 Max, and reassure fliers that this time, really, the plane is safe. There will be costly lessons, and one of them should be that a commercial jet must be safe everywhere, not just where it’s easiest to be safe.